SEAT has unveiled a range of Summer offers on some of its most popular models. First up is a new high value version of its popular hatchack , extending the now-familiar Copa trim level the debut of the Ibiza S Copa in all three bodystyles – SC, 5dr and ST. In addition to the entry-level Ibiza S model’s aspec, the S Copa now adds 15-inch ‘Ingenia’ alloy wheels, cruise control, front fog lights with cornering function, electrically-adjustable door mirrors and body-coloured door handles and mirrors. Prices start at £9,995 RRP or a 42-month Personal Contract Hire (PCH) deal of £199 per month with a deposit of £199. Further up the range, the Ibiza SE Copa adds such luxuries as 16-inch alloy wheels, electric folding door mirrors, a leather-clad steering wheel and gearknob, dark tinted rear windows, rain and light sensors for automatic wipers and lights, an auto-dimming rear view mirror and climate control in place of the standard car’s manual air conditioning system. 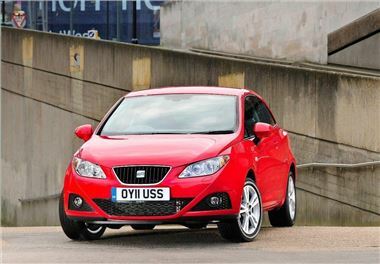 Prices start at£10,495 RRP for the Ibiza SC 1.4 SE Copa. SEAT’s larger Leon five-door benefits from a kit upgrade on S Copa and SE Copa versions with no corresponding price hike. In fact the Leon 1.2 TSI S Copa is currently available for just £13,995 RRP, a saving of £2,185 over the manufacturer recommended retail price of £16,180 on the road. Elsewhere, there are enticing money-off deals on SEAT’s capacious and practical Altea and Altea XL family, as well as discounts of up to £2,000 on versions of the luxurious Exeo saloon and versatile Exeo ST estate.